What benefits are there with a uPVC porch? Porches can make your home a lot more energy efficient. Reducing heat loss through doors. They also add some extra space for coats, shoes & umbrellas. At the same time creating an inviting entrance with one of our made to measure uPVC porches. Porches can be fitted to both front doors and rear doors. Our DIY double glazed porch kits come with various options to give your porch that personal touch. Choose a uPVC porch with opening windows, chrome, white or brass furniture, letterbox and what type of lock you want. For some porches, you can choose polycarbonate roofing or glass. Available in White, Rosewood or Light Oak. The choice is yours. Supply Only. Delivery times vary depending on your delivery address and the current workload but we aim to deliver most porches on our own transport to your address within 1 - 2 weeks. Lean To Porch - Made To Measure Panels + Glass Size Options Click on Required Size. 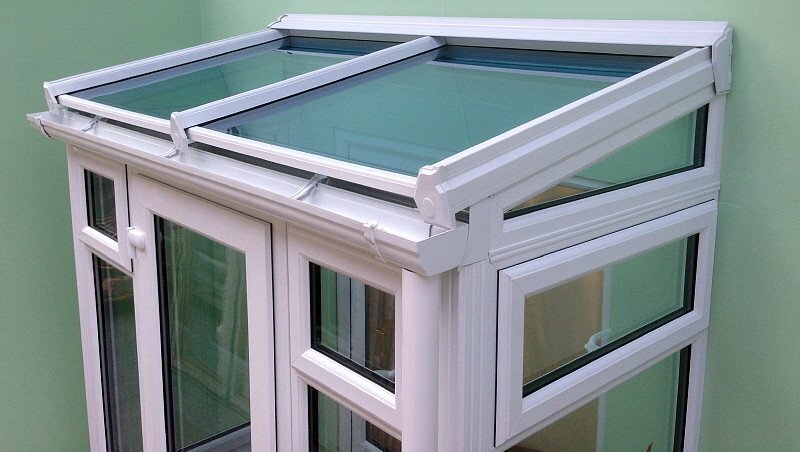 Lean To Porch - Made To Measure Full Height Glass Size Options Click on Required Size. Edwardian Porch - Made To Measure Panels + Glass Size Options Click on Required Size. 1500mm by 1500mm | Manufactured within our factory Edwardian Porch uPVC made to measure Made to Measure Edwardian Porch 1.5m X 1.5m Prices are for any size possible up to the sizes shown. Width and projection are optional and the price is the same for example 2m wide 3m projection cost the ..
1500mm by 2000mm | Manufactured within our factory Edwardian Porch uPVC made to measure Made to Measure Edwardian Porch 1.5m X 2.0m Prices are for any size possible up to the sizes shown. Width and projection are optional and the price is the same for example 2m wide 3m projection cost the ..
1500mm by 2500mm | Manufactured within our factory Edwardian Porch uPVC made to measure Made to Measure Edwardian Porch 1.5m X 2.5m Prices are for any size possible up to the sizes shown. Width and projection are optional and the price is the same for example 2m wide 3m projection cost the ..
1500mm by 3000mm | Manufactured within our factory Edwardian Porch uPVC made to measure Made to Measure Edwardian Porch 1.5m X 3.0m Prices are for any size possible up to the sizes shown. Width and projection are optional and the price is the same for example 2m wide 3m projection cost the ..